The key to finding professional success after high school lies in making choices that will move you toward a career that matches your interests and abilities, provide you with excellent earning potential, and open doors for advancement within your field of choice. As you face these decisions, you should realize that the 66 percent of U.S. students who move on to pursue traditional, four-year college degrees are competing with each other for what amounts to only 30 percent of the well-paying jobs that actually require those degrees. Each year, 70 percent of new jobs require a skill set that you can develop through technical training. That's why Jeff Tech should be the school for you! 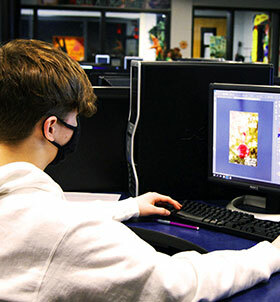 Please browse our Career and Technical Education (CTE) courses, and contact our Guidance Office to request more information or to schedule a tour.